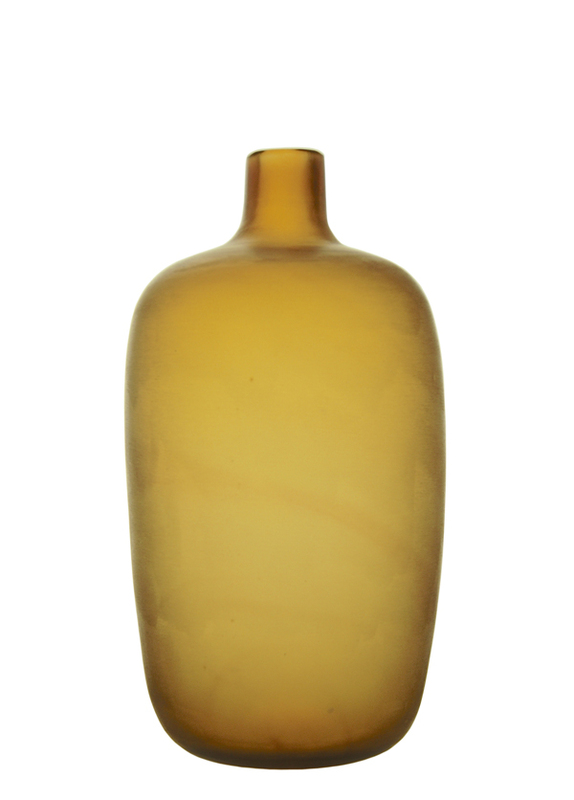 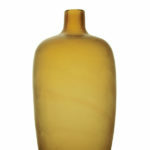 This scarce and high quality ambery-yellow Velato (Veiled) bottle was produced by Venini, one of the best and most influential 20th century glass factories, and was designed by two of its most iconic figures, founder Paolo Venini and designer Tobia Scarpa. 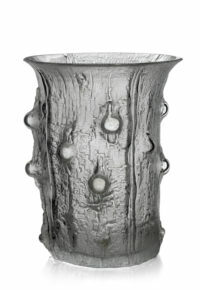 Although obviously produced from shiny glass, the surface is matte and invites the viewer to pick it up to inspect it and enjoy its tactile sensations. The way this effect was produced is very different to the considerably more common and much-reproduced Inciso (Incised) finish, where the surface is covered with a series of very fine horizontal cuts.  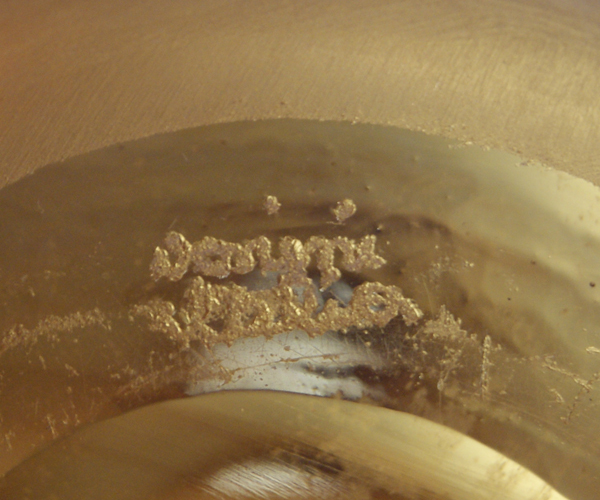 For Velato, the surface was applied to a spinning brush made up of very fine metal ‘hairs’. 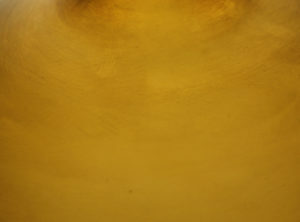 This gives a more subtle, satin-like finish that covers the surface almost in waves, a little like it has been draped with an ultra-thin, light and transparent veil – hence the name. 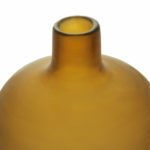 When lit gently from behind, the bottle appears to glow from within and the different thicknesses of glass create tonal effects. 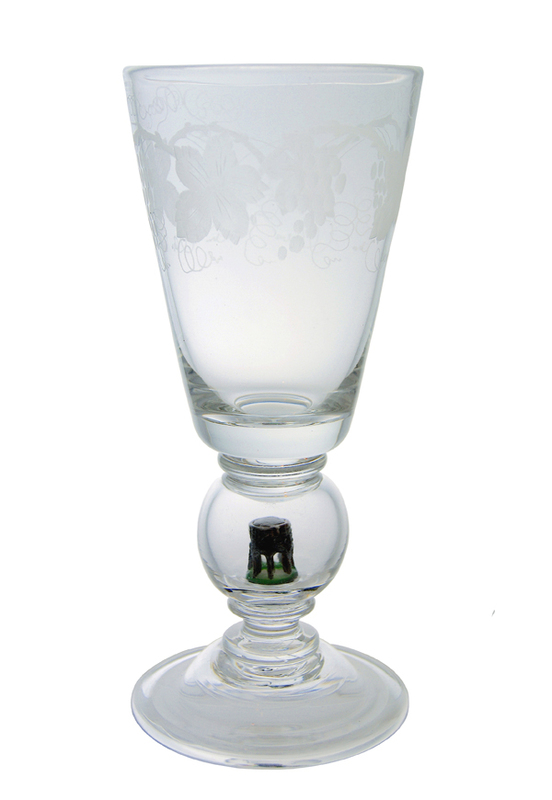 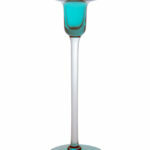 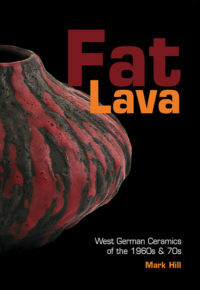 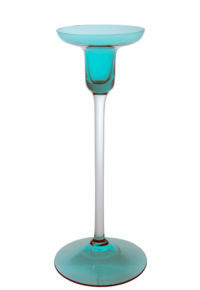 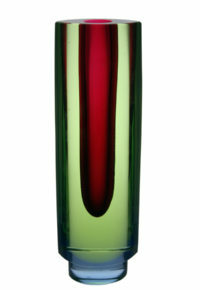 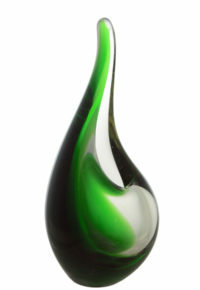 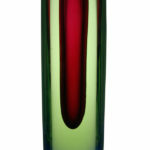 Other examples of the Velato range are known in bowl, decanter and more squat bottle forms, and other colours include plum and green. 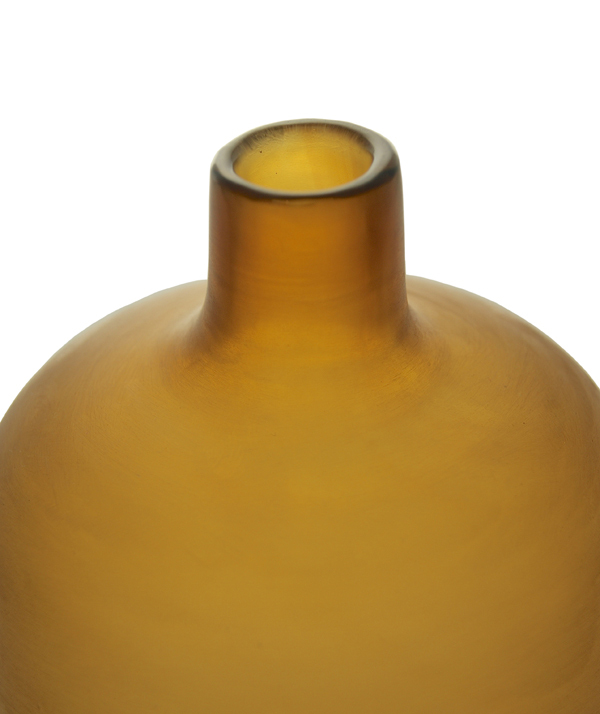 This finley blown form is well-proportioned, a suitably modern take on a classic shape, and shows off the surface effect perfectly. 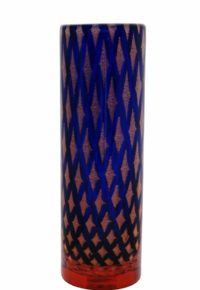 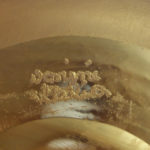 The bottle is marked on the base with the highly desirable incised two-line mark reading venini italia, dating it to 1966-70, the period when this style of mark was used at Venini.